MM disbanded on 2001.12.11! The news has been confirmed by the official MM page. The official announcement indicates the disband as a means for the members to create solo works freely. All members also have messages about the disband. tons of releases scheduled for MM! 4. video/DVD for 2 and 3 on the respective same days. Khala is now the official vocal of MM. 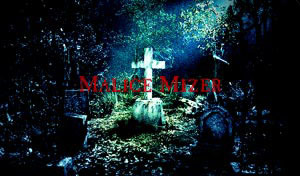 They released a video of their budokan live on 11.22, titled "opening of malice and tragedy painted in rose".